Pesta Nukenen Bario or the Bario Food and Culture Festival 2015 is being celebrated from 30 July to 1st August and this very unique and special event will showcase the stunning and amazing highland culture of Sarawak Borneo. This year also showcases the 10th anniversary of the festival celebrating the culinary and cultural heritage of the Kelabit Highlands. At Bario, visitors can expect authentic Kelabit food prepared by the highly skillful local chef's who have carried the recipes from generation to generation. The beauty about the local dishes here is seeing how they are prepared in the traditional longhouses. On a normal day, they are prepared in the kitchen of the longhouse which also doubles at the main guest area. 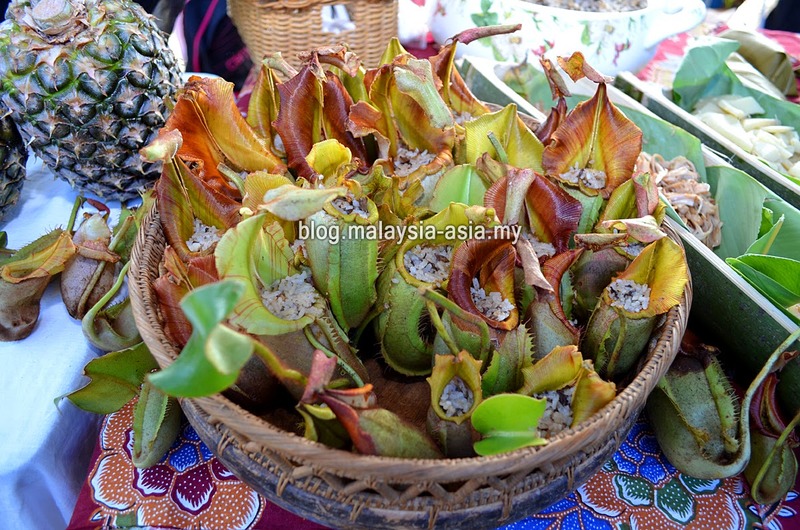 The history of the Bario food Festival dates back 10 years ago in 2005 where the main principle objective was to recover the traditional processing methods of the Kelabit highland people which includes the indigenous edible plants and wildlife. This food festival is considered to be one of the world's most unique festival due to the overall culinary process and experience. Because Bario is not an easy place to reach in the highlands, this resulted in the locals having kept the centuries old tradition and recipes safeguarded. However, with modernization, many of the younger generation have moved from the highlands to the fast moving city life and hence less people are getting involved in this process. Overall, there are only 6000 Kelabit people found around the world where the main concentration is here in the highlands. 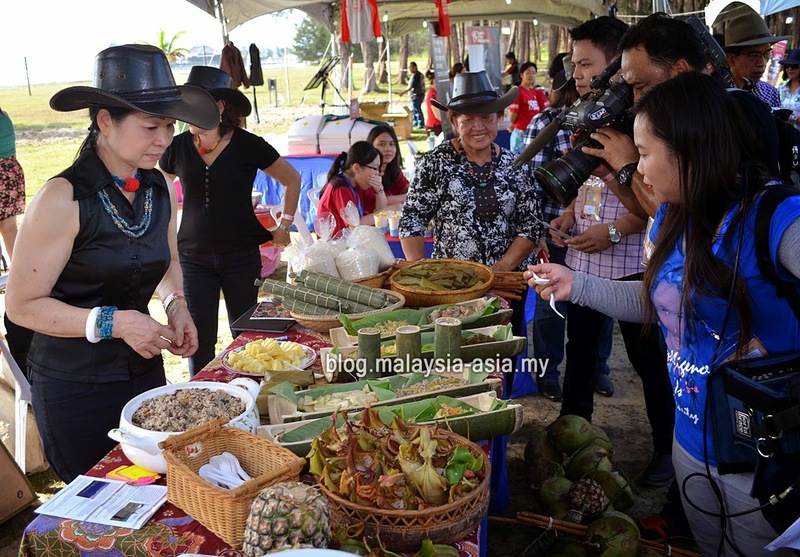 In the recent Miri Country and Music Festival, the Bario Food Festival 2015 was promoted by the organisers by bringing the Kelabit people down from Bario to showcase their ethnic Kelabit food. 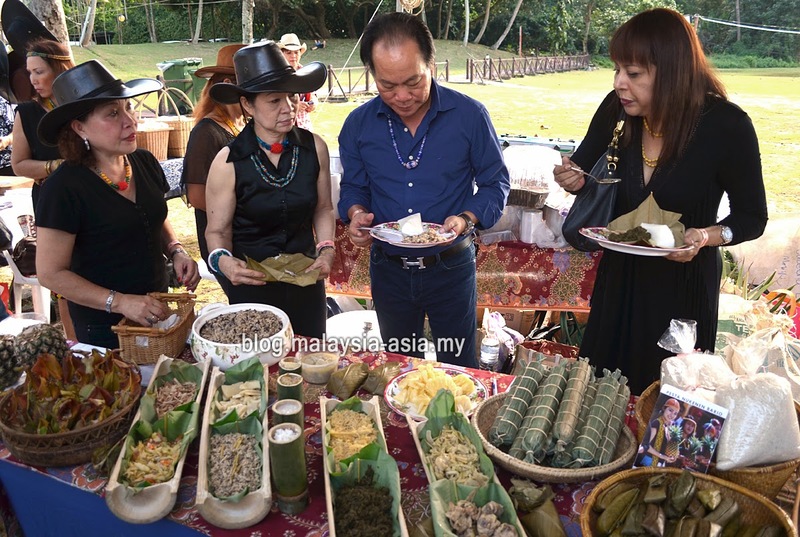 At the bazaar, there was a Kelabit Food Tent where visitors were introduced to this authentic food and also for branding awareness for the festival. 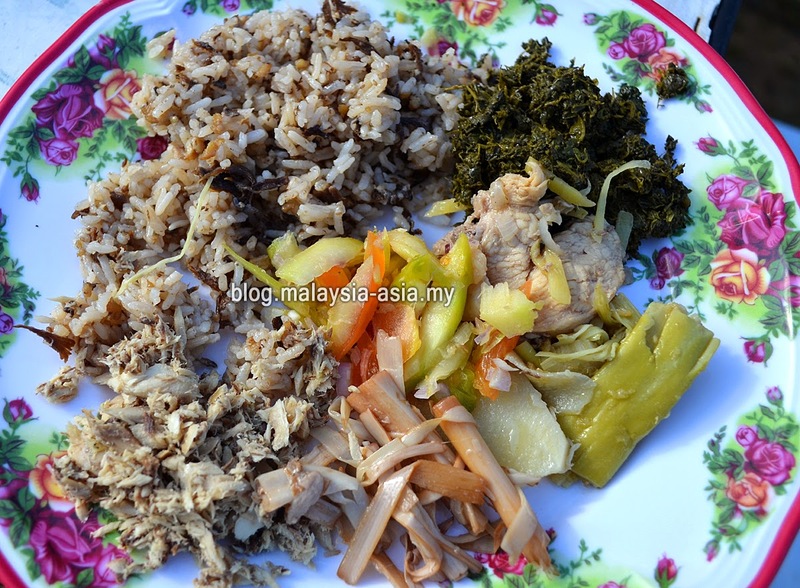 Kelabit food is more of a slow food which is processed from scratch using all kinds of natural ingredients. The blend of diverse ingredients used are also not found anywhere in the world making this place the main hub for the delicacy. This is also one of the main reasons why you will not find any authentic Kelabit restaurants anywhere. Among the recommended food to try here is the Nuba' Laya' which is softened rice wrapped in banana leaf. Another popular dish is Labo Belatuh or smoked meat done Kelabit style. At the Nukenen Festival, you will not only experience the unique and amazing food but also witness the Kelabit lifestyle. Moving towards a carnival like atmosphere, visitors can see traditional dances, games and even music of the Kelabits. However, when dusk arrives, you will also see another side of the locals here where song and dance come into play. As the highland people are avid followers of the country and western lifestyle, don't be surprised to see locals in cowboy hats and boots singing along to popular country tunes. 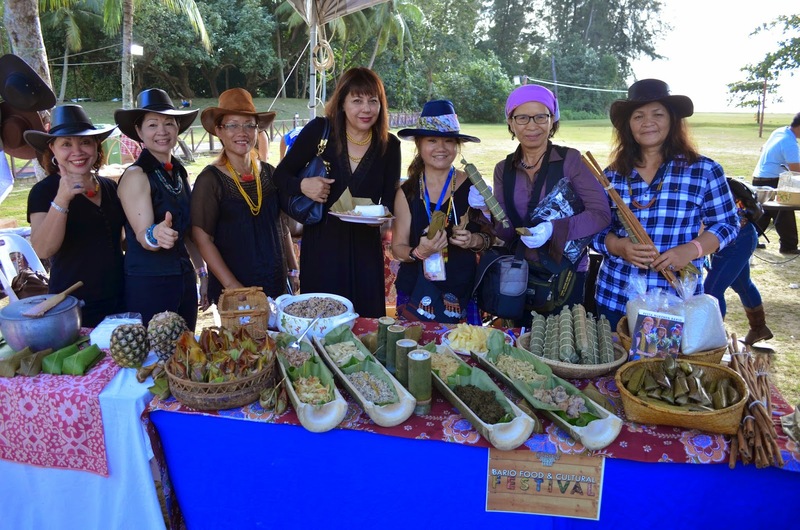 Pesta Nukenen is organised by the Rurum Kelabit Sarawak, the Kaum Ibu and Belia Bario and supported by Alde Valley Food Adventures UK, the Sarawak Tourism Board and the Sarawak State Government. 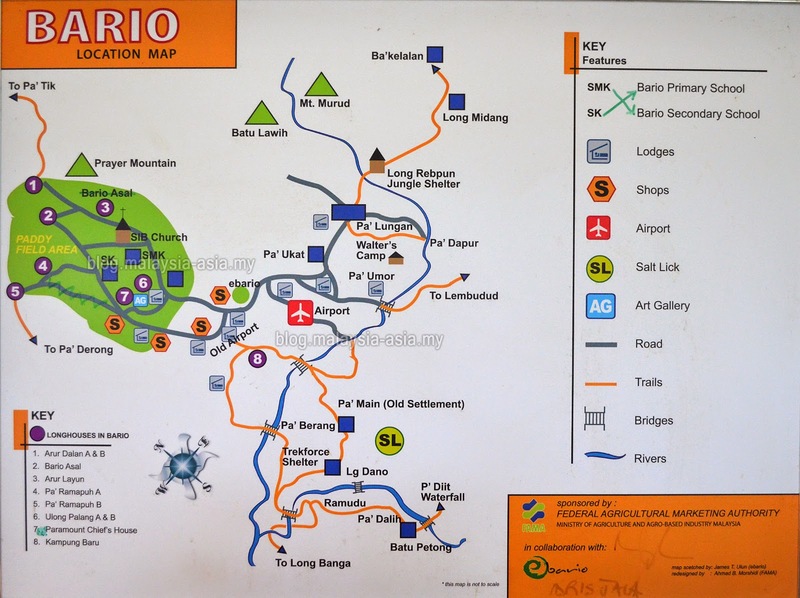 Due to the high elevation, Bario is truly an amazing place for anyone who loves the outdoors, culture and nature. Here, you can witness the locals going about their everyday lives harvesting and planting highland paddy or rice padi. 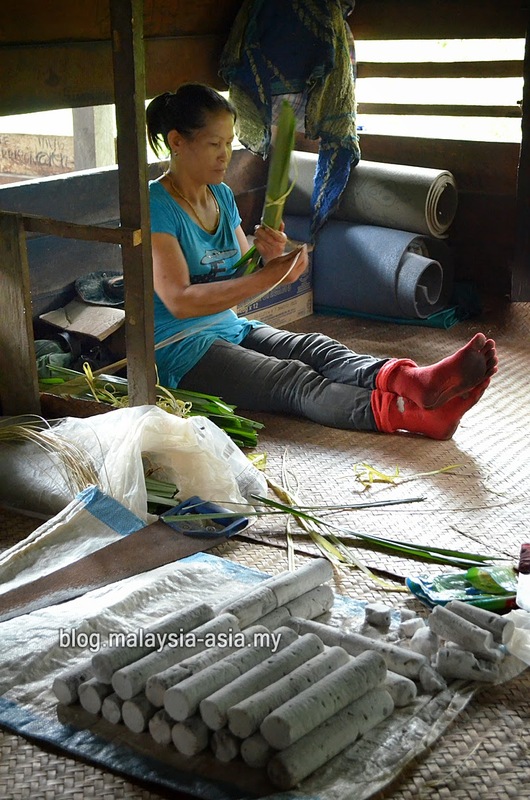 This is one of the main industries of the Kelabit people. Apart from this, smaller farming lands cater to vegetables and fruit. 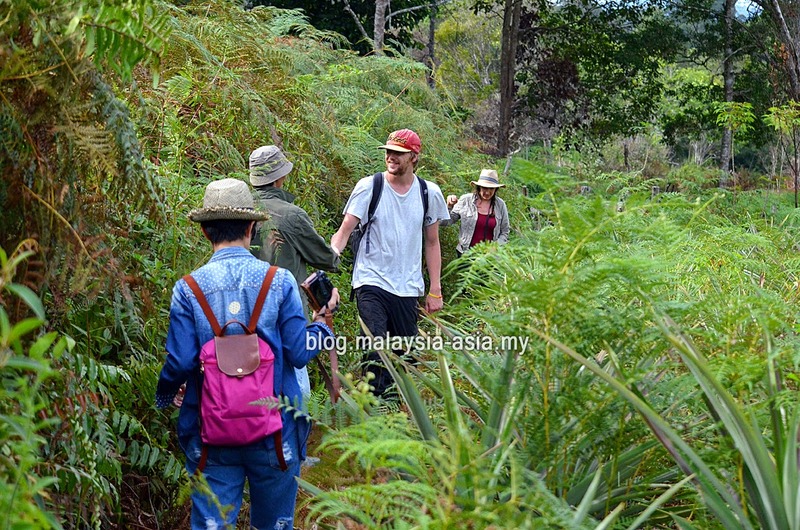 Hiking and trekking is also on top of the activity list as there are many trails available around Bario. Some of off road while a number of them lead to other villages. Bird watching is also available for avid birders and even beginners as a number of montane birds are available here, including endemic ones. It is said that there are two or three species which is very rare and found only in the Bario Highlands. There are also visits to the local salt farm where you can witness how traditional salt is processed and made here. The salts are processed from salt water which is pumped to the main centre and then cooked before fire drying them. Each designated family takes turns to process the Bario Salt here. Other activities include kayaking down the Daphur River which is something that I would like to try one day. 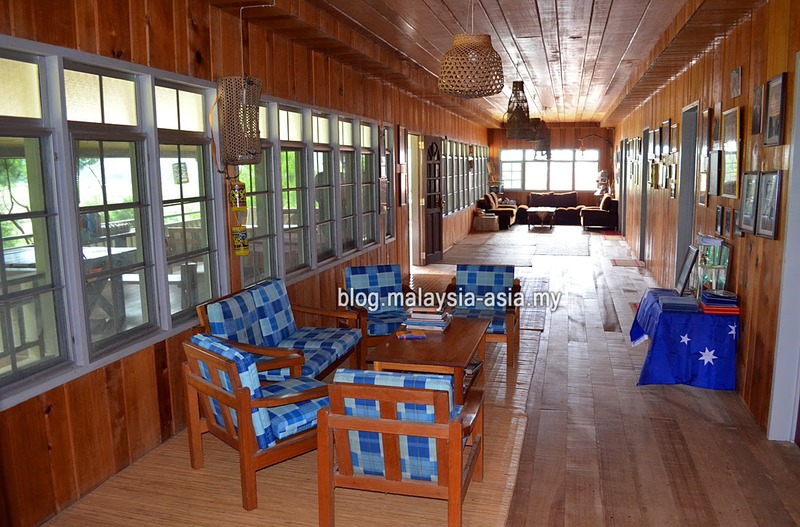 Kelabit longhouse visits are the main highlight and not to be missed as this is truly a one-of-a-kind experience where you can walk through these extremely long wooden houses on stilts which have about 20-30 families staying there. 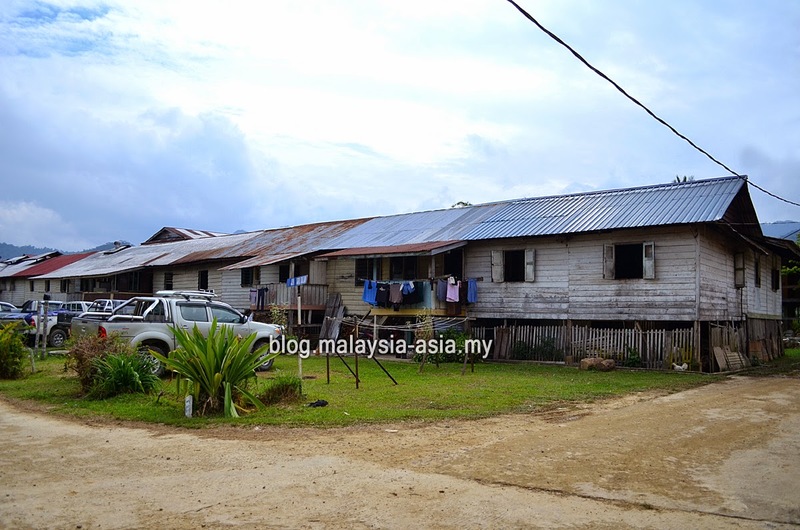 The longhouses have three main sections - The tawa which is the main hall or corridor, the bilik which is the actual homes of the locals and the back of the longhouse which is the kitchen and open area. While many may think the tawa is the main area, it is actually the kitchen area which serves as the main area where guests are hosted and families gather. When I visited one of the longhouses, the locals told me that it was common for guests to enter from the kitchen and be greeted and hosted here. Bario is accessed only via flight from Miri, Lawas and Kuching and only via the small turboprop aeroplanes which can seat 16 passengers at one time. There are three flights a day but during the festival, MASwings has allocated additional flights to make it 6 flights a day. Note that each passenger is weighed along with their luggage before checking in. As for land transport, it takes about 10-12 hours just from Miri and only the locals will go for this. A flight will take you 1 hour only. There are no taxis or buses to Bario. 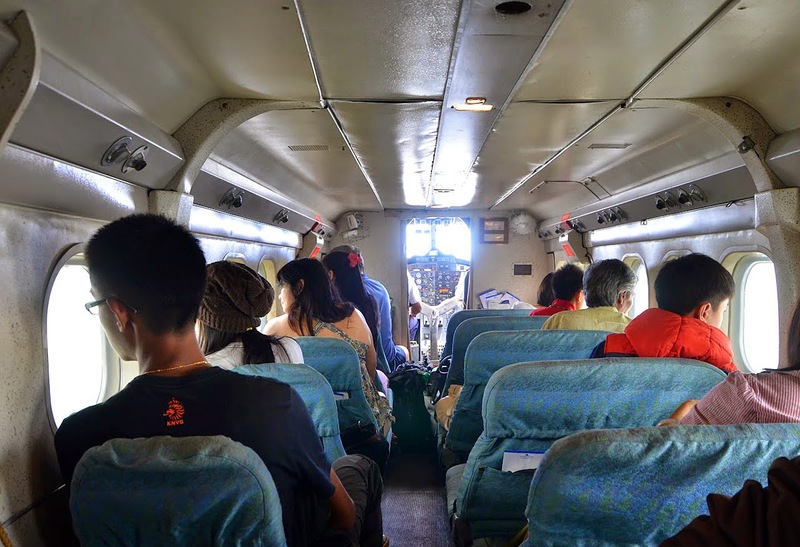 Taking a flight to Bario is one amazing experience as you will fly around 1000 to 3000 feet above ground and you can see the vast primary and secondary rainforest below you. Even more amazing is the landing experience at the Bario airport.Check out the video I did for the plane landing at Bario Airport. While Bario is located up in the highlands, you won't be getting general hotels here. The standard accommodations are all in the form of homestays. This means, some of the homes and longhouses here offer a staying experience with the families which in result lets you have a feel of how life is up in the highlands. 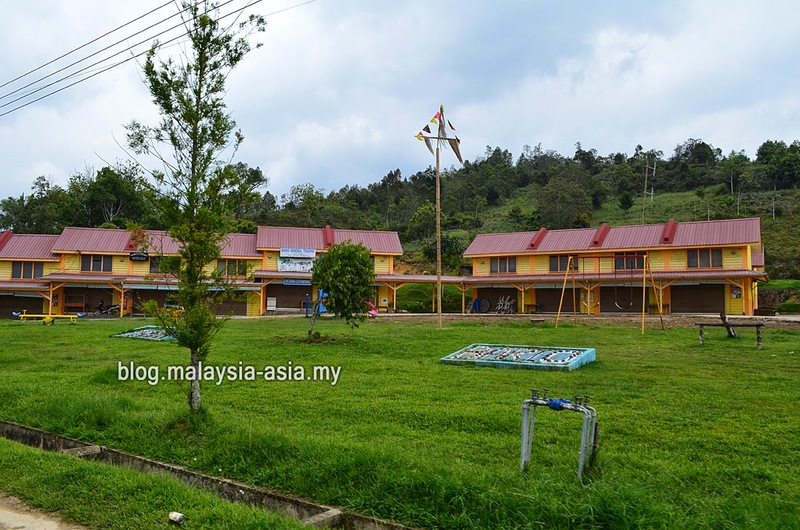 To date, there are about 10 homestays available in Bario which can accommodate up to about 200-300 people and it is advised to book ahead for anyone wanting to visit here. On my trip to Bario in October 2014, I stayed at Nigmat Ayu Homestay which is run by Scott Apoi. The place was very nice and cosy and totally something I did not expect. Together with a media group, we were treated to the local Kelabit home-cooked food by Scott's mother. In our free time, we would gather in the common area at the balcony just absorbing the beautiful views as the house was located on top of a small hill. Anyone planning to go to the Bario Food Festival is highly advised to make arrangements way in advance as there are flight limitations. The nearest city to Bario is Miri too. 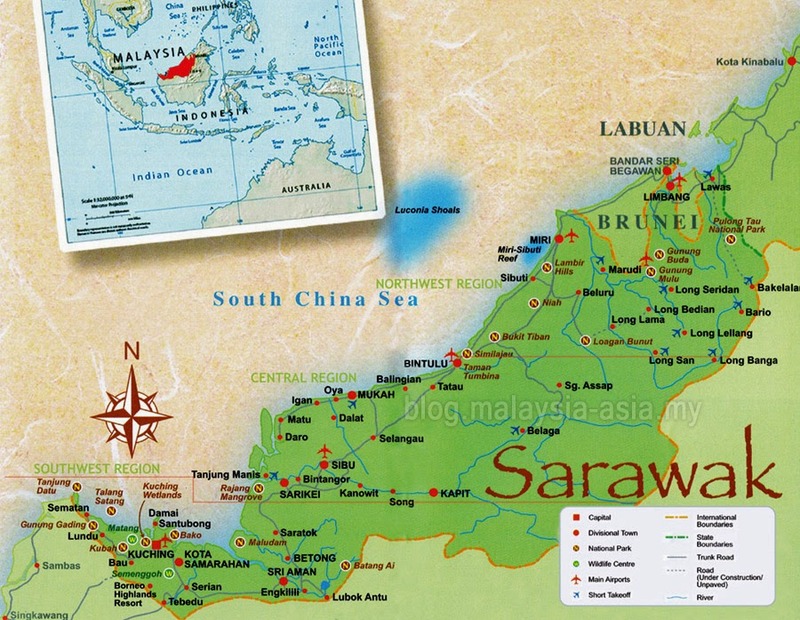 For any additional information, you can also check out the Sarawak Tourism Board events website. For me, I have never attended this festival and I hope that this year, I will have the opportunity to visit this place and experience this unique festival. If I do go, see you there at the Pesta Nukenen Bario.